July 18 was not a good day for me. My husband and I had decided to take our 4-year-old to the beach for the day, and after I spent the morning racing around like a crazy person packing lunches and making sure I had bathing suits, towels, sunblock, and dry clothes for the 3 of us, I decided to throw in a load of laundry so I would have fewer clothes to clean when we got home later that night. The good news is that the load of laundry was finished before we left the house, so I was able to throw it into the dryer before buckling my little one into her car seat. The bad news is that when we got home later that day and I started jamming wet bathing suits, clothes, and towels into our washing machine, I realized the load of laundry I had done before we left the house that morning was still SOAKED, and after fiddling around with our dryer, I came to the horrible realization that it was broken. Of course, my husband thought this was no big deal and kept assuring me it would only take 10 minutes, TOPS, to order a new one at the closest appliance store the following Monday afternoon, and that I’d be back to doing laundry in no time. This didn’t really calm me (he’d clearly never tried to buy household appliances with a 4-year-old in tow), but when he offered to go out and buy the appliances himself, I cheered up a little bit. SIX WEEKS, 2 failed delivery attempts, a mini flood, a panicked call to an emergency plumber in the middle of the night while my husband was out of town, and a horrible head cold later, I was still hanging laundry all over our 1,300-square-foot condo, and while I knew my problems were very ‘first world’, I was getting really sick and tired of all of the drama the situation was causing. It just seemed like no matter how nicely I asked people to help me, or how hard I tried to laugh all of the problems off, the universe was DETERMINED to make the process as difficult as possible for me. 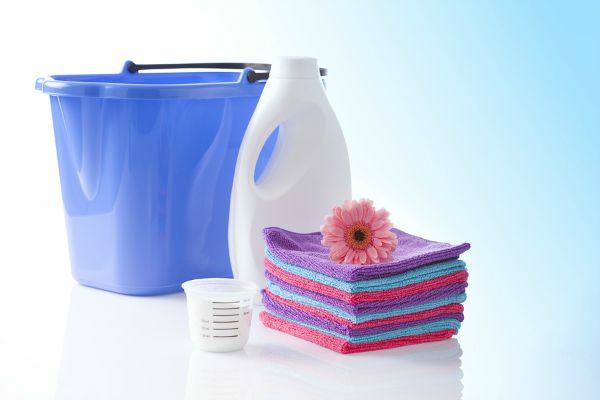 Thankfully, I am now the proud owner of a fabulous new washer and dryer, and while I would never (EVER) want to go through the hassle again, the process taught me a lot of great time saving laundry tips that have made me a much more efficient person when it comes to cleaning our clothes. 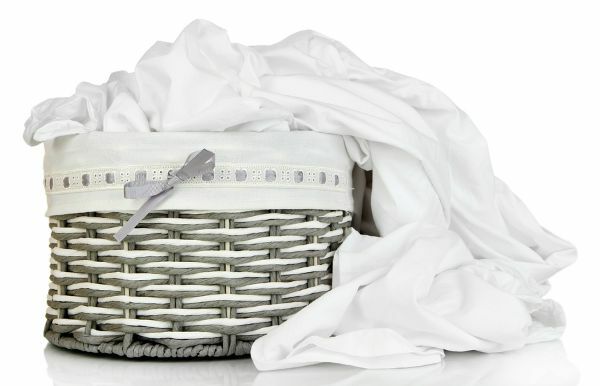 And since I know I’m not the only mom out there who drowns in laundry each week, today I’m teaming up with the fabulous folks at Febreeze to teach YOU 5 of my best time saving laundry tips. I’m not sure I would’ve survived those 6 horrible weeks without number 5! I have heard having a designated laundry basket for each load of laundry (whites, colors, and darks) can be helpful in ensuring you have enough clothing to properly fill a load so you’re not unnecessarily wasting water and detergent, but only gave it a try when I was limited in the amount of space I had to hang our clothes. And I’m hooked! I find this strategy helps me prioritize our laundry (clothes first, sheets and towels second, etc. ), and by adding a bin for dry cleaning, I am much less likely to accidentally clean and ruin my husbands shirts, blazers, and suits like I’ve done in the past. One of the things I missed most when I couldn’t do laundry on a whim was that I couldn’t throw my dirty workout gear in the wash as soon as I got home from the gym. I sweat A LOT when I workout, and learned the hard way that letting my clothes sit after I exercise is not an option. Not only do they end up smelling horrendous, but I sometimes find I can’t get the odor out and have to throw the clothes away, which is not good for my Visa bill. So I started soaking my fitness clothes in cold water and a little bit of Febreze In-Wash Odor Eliminator each time I workout, and I am amazed at the result. My clothes smell fresher, those tough-to-remove odors are (finally!) gone, and I no longer feel self conscious when I’m at the gym. In fact, a woman in my spin class recently asked me what detergent I use because she loves the way my clothes smell. How awesome is that?! 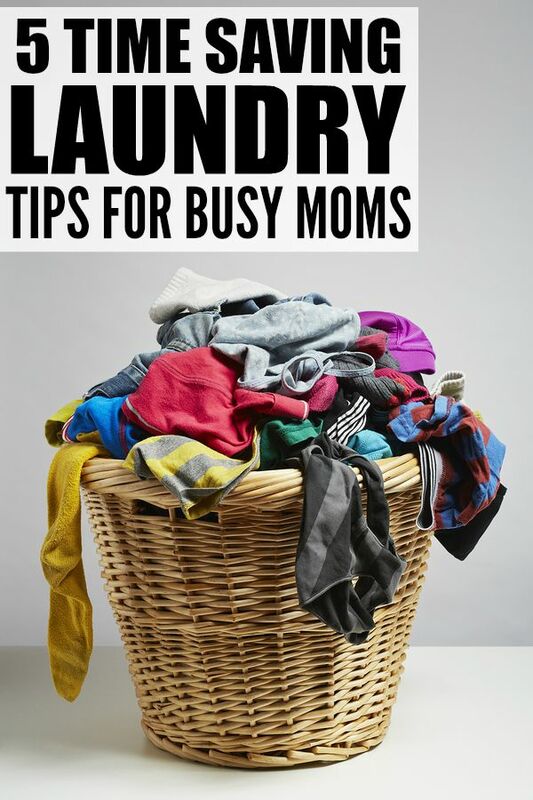 Like most moms I know, I feel like I’m constantly drowning in laundry, but it wasn’t until I was forced to do laundry every single day to ensure I had enough hanging space for our clothes to dry properly that I realized how much easier my life was when I stayed on top of the process of washing our clothes. 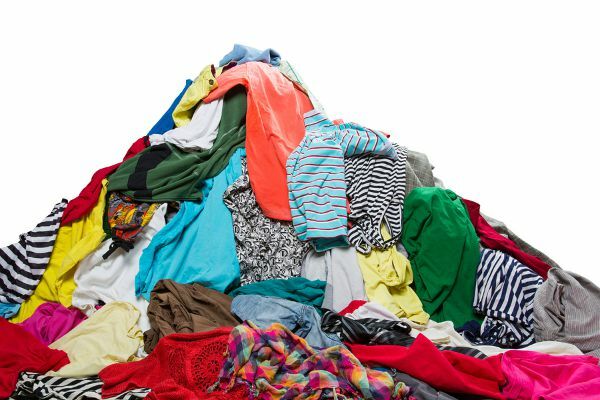 By doing at least one load a day, none of us ever ran out of clothes to wear, folding laundry was a lot less daunting, putting clothes in closets and drawers took next to no time, and I felt much more organized and on top of things. I have continued this trend over the last couple of weeks, and I’m pretty sure I’ll never go back to my old habit of doing 5+ loads in one day ever again. That method ended up being much more overwhelming and time consuming, and someone (usually me) always ended up in tears. 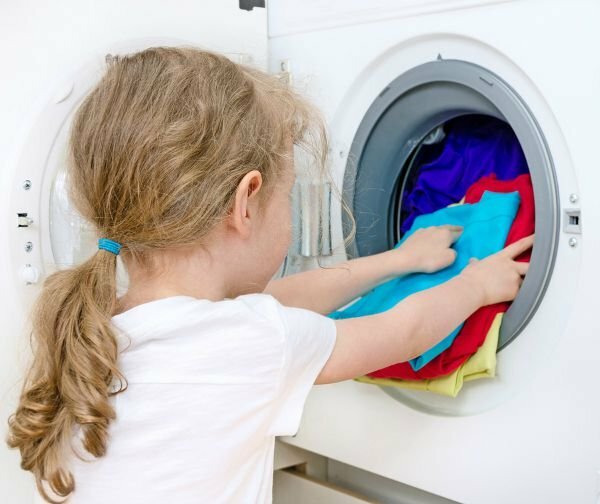 Keeping our clothes washed and ironed has always been my responsibility, but I was surprised with how much everyone was willing to roll up their sleeves and pitch in during those 6+ weeks we were without a dryer. My daughter loved helping me hang socks and underpants on the bottom of our drying rack, and my husband folded all of the clothes that were draped over our furniture each night while I was cooking dinner. Of course, I fully expected things to go back to the way they were once the delivery guys installed our new appliances, but my daughter is still keen to help load and unload the machines, and as long as I let my husband watch poker on TV, he is still content to fold clothes at the end of the day, which makes the whole task much less daunting to me. For the last 4+ years, I have been washing all of our clothes in baby-friendly laundry detergent. My daughter had really sensitive skin when she was a baby, and I was too sleep deprived to remember to use one detergent for our clothes, and another for hers, so it just seemed like the logical thing to do. The only problem is, all of our towels and workout gear smell musty, and it wasn’t until I started pre-soaking my exercise clothes in Febreze In-Wash Odor Eliminator that I realized I simply wasn’t using a strong enough detergent on those items. I now add a capful of Febreze In-Wash Odor Eliminator into our washing machine along with our normal laundry detergent whenever I’m cleaning clothes with a heavy odor (think: perspiration, cooking oil, grease, motor oil, pets, garden soil and mildew), and I am AMAZED at what a difference it makes. Have you heard of Febreze In-Wash Odor Eliminator? It is, quite simply, one of my favorite household items of all times. While other detergents clean the soils from our clothes, Febreze Laundry Odor Eliminator cleans away odors that get trapped in fabrics, and completely eliminates those horrible smells in just one wash.
Our towels have never smelled fresher, and when that nice lady leaned over to ask how I get my workout clothes to smell so fresh while I was sweating like a man all over my exercise bike last week, I knew I had finally found a product that would save me TONS of time on laundry. Who knew it was so easy to remove tough odors from clothes? CLICK HERE to enjoy $2 off a container of Febreze Laundry Odor Eliminator today, and stay up to date with the latest products and offers from Febreeze on Facebook and Instagram! I am part of the Febreze In-Wash Odor Eliminator campaign and I receive special perks as part of my affiliation with this group. The opinions on this blog are my own.